Ranjit Bawa is one of the most enthusiastic singers of the Punjabi music industry. This singer has broken several records with his song ‘Jatt Di Akal’. Started with folk songs, Bawa shine his name not only in Punjab but also in foreign countries. 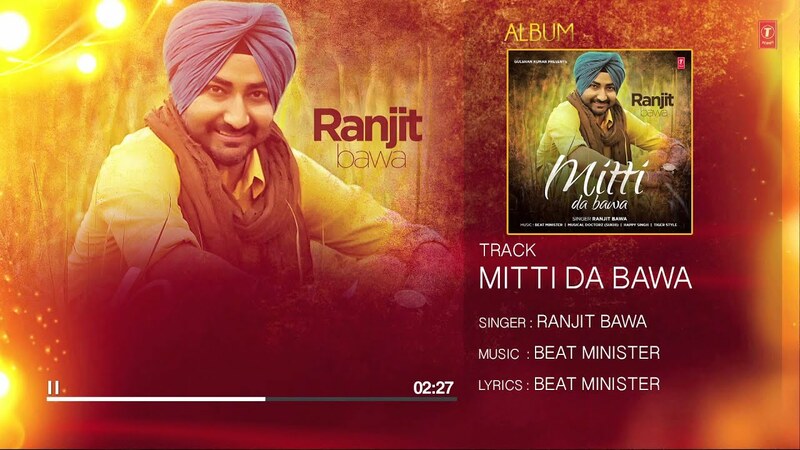 Ranjit Bawa made his debut with album ‘Mitti da Bawa’ in 2015. The album also got several awards. Recently, Ranjit Bawa has released his new track ‘Babu ji’. Ranjit Bawa has presented the kavishri of famous Kavishar Babu Rajab Ali kavishri in his own way. It has been composed by Nick Dhammu. This song is directed by Frame Singh. Acting in a song has done by other artists. Once again Ranjit Bawa came with new fragrance of folk in his new song. Babu ji ‘song has presented by Speed Records. This song of Ranjit Bawa is running on YouTube as Trending. Ranjit Bawa is coming soon with his new album The album’s name is ‘Ik Taare Wala’.